Jeff Francoeur-OF-Royals- Talk about a roller-coaster ride, Francoeur has disappointed for most of the season and only recently has awakened from an early season slumber. Since May 19th he has raised his batting average from .235 to a more respectable .281. He has also hit four HR over that stretch. The former 1st round pick of the Atlanta Braves in the 2002 draft had a modest seven game hitting streak coming into Monday’s game. He’s worth an add in most leagues as he is just one year removed from 20HR- 87RBI- and a .285 BA in his first year with the Royals. 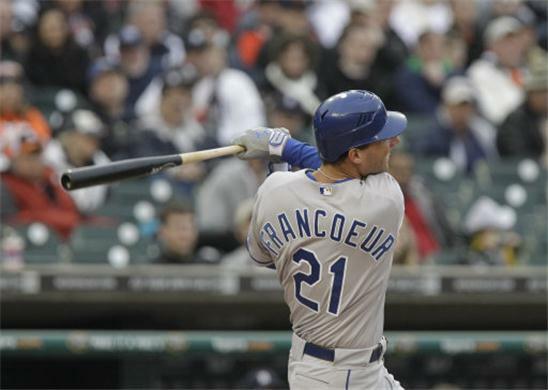 Currently, Francoeur is owned in 48% of leagues. Andy Pettitte-SP-Yankees- It’s time to consider taking out a flier on the ‘ancient hurler’ who turns 40 on June 15th. He’s pitched three games since returning for an encore performance with the Yanks. Over 21 1/3 innings, Pettitte has 19 strikeouts against just 5 walks. His ERA sits at 2.53 and his WHIP at 1.08. After giving up 4 runs in his first start he has won the next two. Andy will have two starts this week; one on Tuesday against the Angels in L.A. and the next on Sunday vs the Tigers in Detroit. He is available in around 40% of most leagues and is worth an add in 12+ leagues. Felipe Paulin0-SP/RP-Royals- Not a typical start of the season for the 28 year old right hander who’s playing on his third team in six years in the majors, but one worth at least a look. He is 2-1 with 34 K’s and 12 BB’s. His ERA of 2.03 is way lower than his career 5.01 as is his 1.26 WHIP which is less than his career 1.51. Can’t explain it but in fantasy leagues, owners look for an edge wherever they can find them- whether it’s logical or not. Paulino, we believe, would make for an outstanding streamer candidate, and now would be the time to use him as he faces the lifeless Athletics on Friday followed by the Twins next Wednesday. He is currently owned in just 20% of leagues. Homer Bailey-SP-Reds- The much hyped former 1st round pick of the Reds in 2004 has never lived up to his expectations as he’s floundered into the abyss of mediocrity since coming into the league. We certainly are not recommending you pick him up in your league unless you are likely to stream. Like Paulino, his stats this season are also not in line with his career numbers but in his last two games against the Yankees and the Braves, both wins, Bailey has struck out 13 and walked just 2. We really like him in his next two starts; both against the anemic Pirates. In 2010, Bailey faced the Bucs twice and struck out 15 without walking anyone. One of those wins was a complete game 5-0, 4 hit shutout! He’s owned in less than 10% of leagues and should be picked up by all you streamers out there.